I have had these foam pumpkins spray painted an off white color, since last year. You know one of those projects you start and then can't find the time to finish. With fall here, I decided it was about time to finish the project. 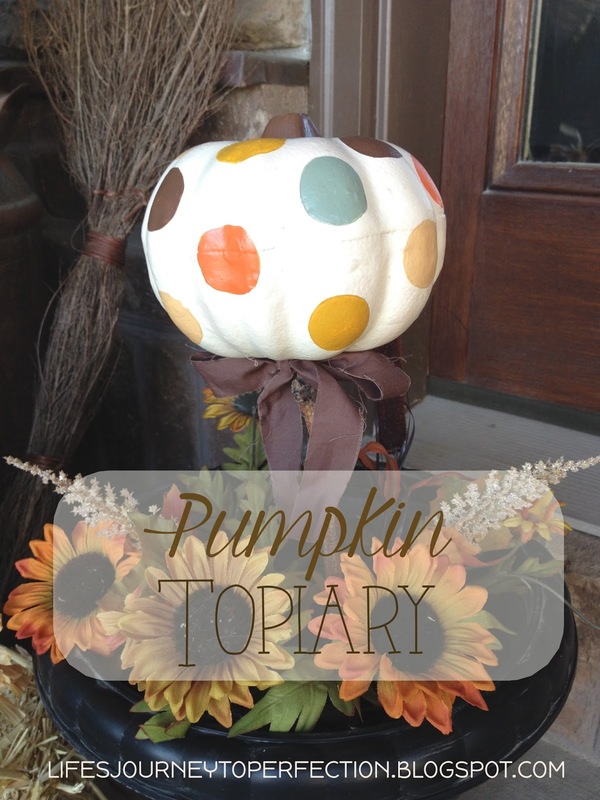 Here is how I took this ordinary orange foam dollar store pumpkin and turned it into a fun poka-dot topiary. 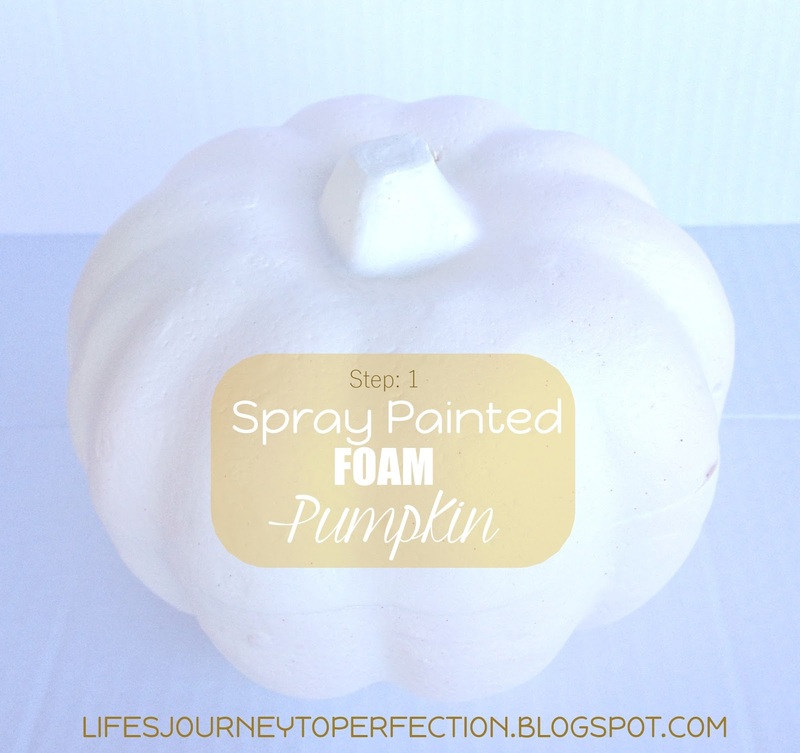 Step 1: Spray paint foam pumpkin. It took me like three coats, letting it dry between each layer. 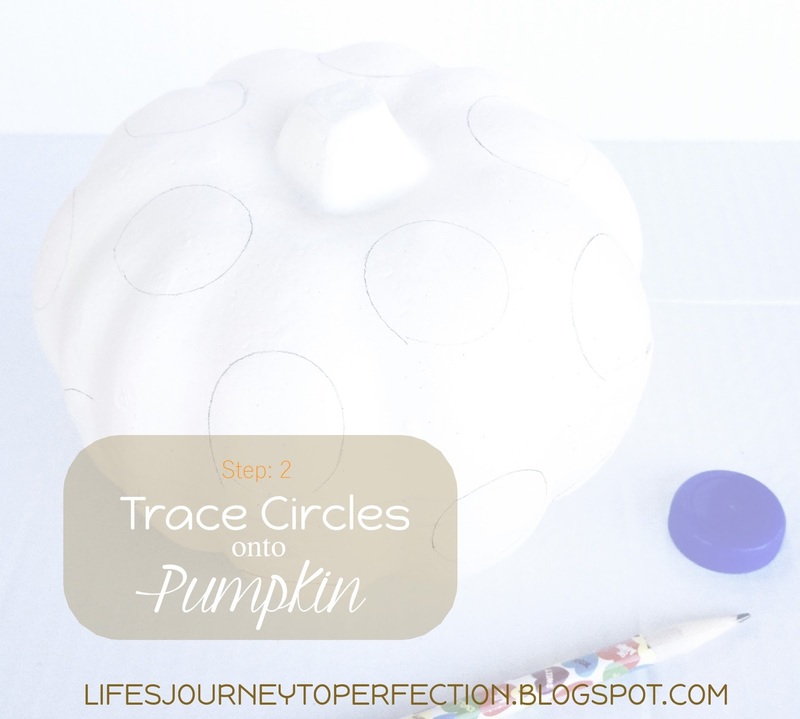 Step 2: Using the pencil and lid, trace circles onto the pumpkin. On my pumpkin I used the ridges on the pumpkin as a guide of how to space my circles. Step 3: Decide how many colors you would like on your pumpkin. I used 5 different complementary colors. Paint the circles using the trace lines as a guide. I had to do 2 to three layers of paint for each circle, allowing it to dry completely in between layers. 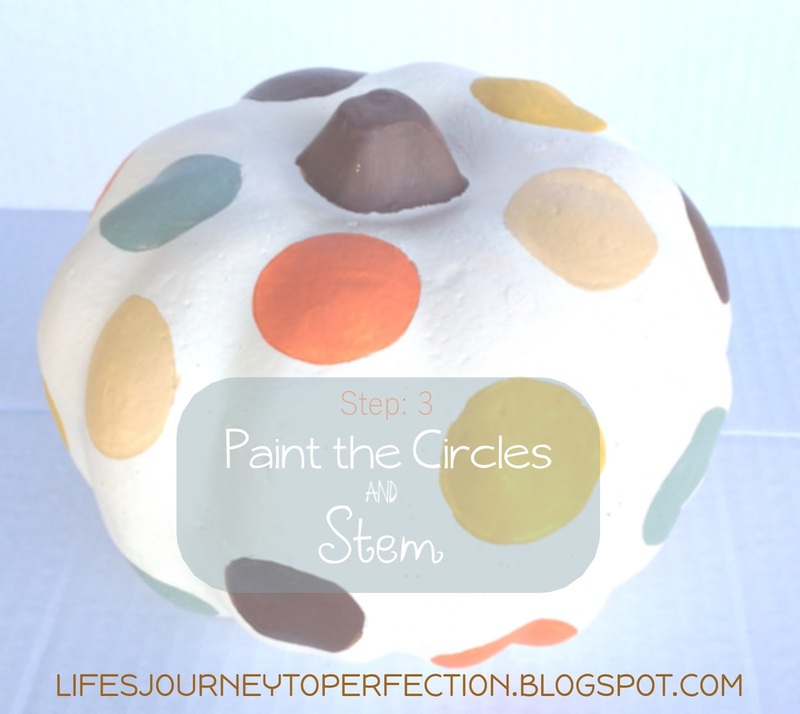 Step 4: When finished painting the stem and all of the circles you will want to spray it with a clear coat spray. I use a matte spray. The easiest way I have found to spray paint these pumpkins is by inserting a stick into the bottom of it and turning it as I spray it. Allow to dry. Step: 5: I didn't take a picture of this last step, just the finished project below. 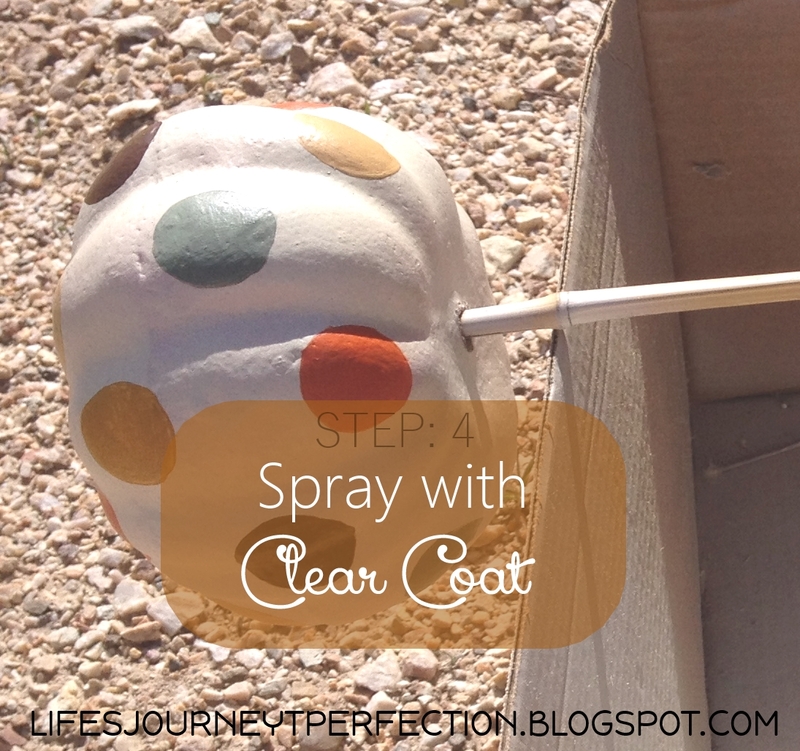 When the clear coat is dry, you are going to want to make sure the stick is cut to the length you want. 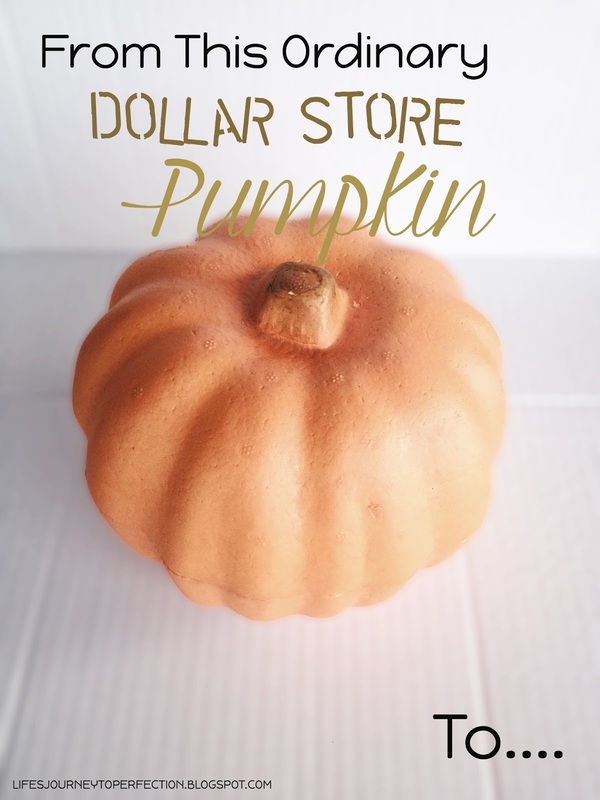 Then place some hot glue into the hole in the bottom of the pumpkin and insert the stick. Making sure it is secured by the glue. Tie the strip of fabric or ribbon around the base of the pumpkin. Place into a pot. My pot is filled with potting soil and bark, so it stuck in there fairly well. You can also secure it into some floral foam, before placing it in the pot and then fill the pot with dirt to make it more secure. I made two of these, one on each side of my door. If you are making two, make sure the sticks are cut to the same length. To make them symmetrical. I also placed some fall flowers around the pot.